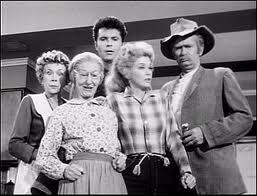 The Beverly Hillbillies was one of my favorite shows when I was younger. I can still remember the words to the song and the characters. The very last line of the song was, “Take ye shoes off, y’all come back now, ye hear!” Does anyone else remember this? One of the main reasons to take off your shoes is to not bring dirt or crap inside the house. I have worked construction and know all to well how much stuff nasty shoes can track in. There was also another guy who was asked to take his shoes off: Moses. I have always thought this was one of the most random requests ever! Why take your shoes off? One thing I believe this action represents is this; it does not matter what you have walked through in your life, you are still allowed into God’s presence. Just without your trashy shoes. I have heard many, MANY times from people that the things they have done or things they have been through keeps them from being used by God! WHAT?! Did I miss something? Is there somewhere in scripture that allows this stance? I tend to believe that whatever you have done will not keep you from being used by God. Yes, if you consistently do sinful things it will, but that’s a different story. What are some other things that people have done that they think keeps them from God?